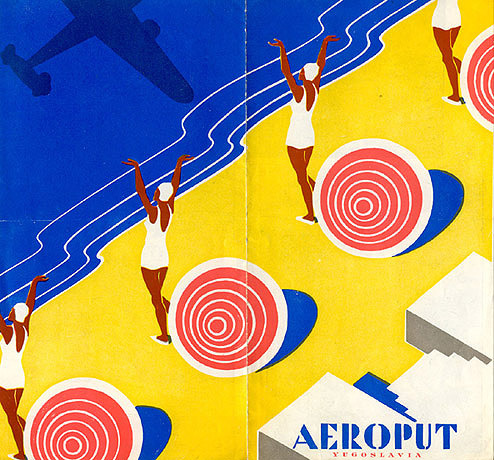 Travel brochure for Aeroput Yugoslavia, circa 1935. Printed by "Beletra, Beograd." Front cover.